If you put a "S" at the beginning of the word hero you get the word shero & that's what this challenge is about! 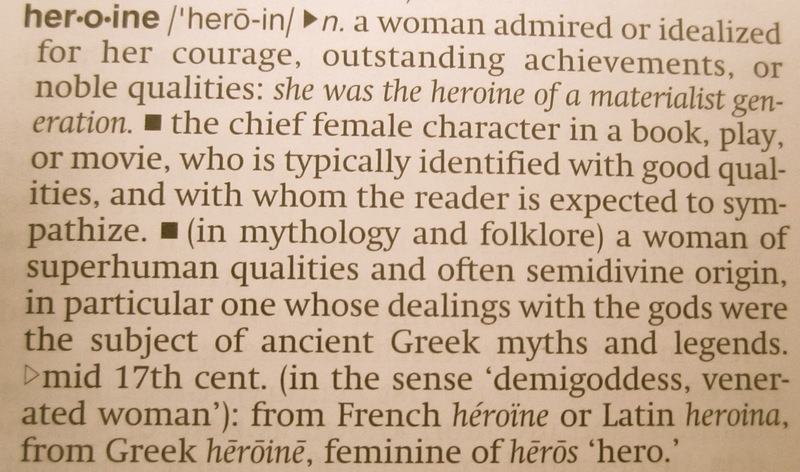 Shero isn't a real word, it should be heroine. 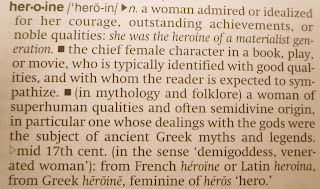 Still, I love the word SHERO --even though it isn't in the dictionary!!!!!!!!!! heroines or books with a Shero! This Challenge is brought to you by The Big Sister, this the first Challenge I've done all by myself --with a little editing help from The Mom. Now I understand why Mom spends so much time working on this, it's so much FUN! 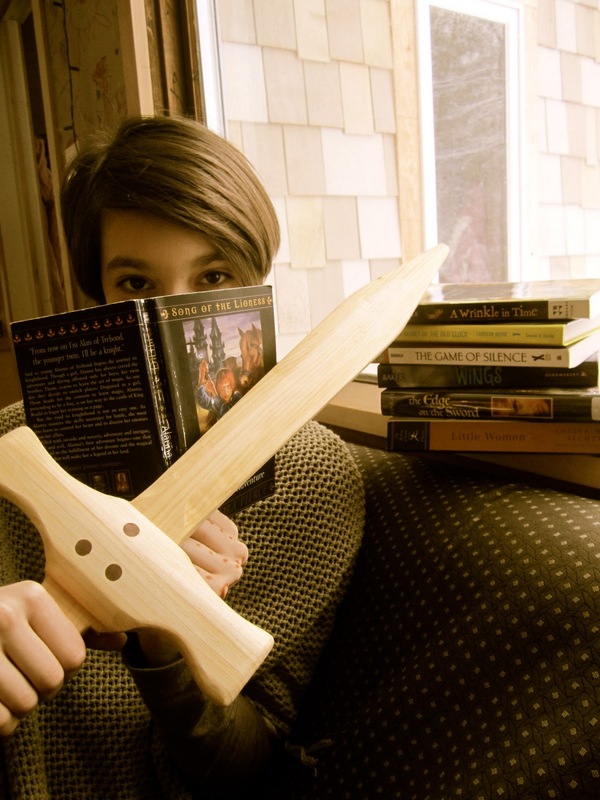 While you're here... do you have a Literary BFF? Take the Literary BFF Challenge and tell me about it! Or take the Herstory Challenge and learn about books that celebrate women in history. I'd also love to hear about books you didn't really like: try the The Calamity Challenge. I'd love to hear from you, feel free to email me, click here and send me your thought on books! First, WOW Big Sis, great Challenge --I am so happy that you are working on the website too now! I LOVE Liesel Meminger. The main character from The Book Thief. And of course I love the book because it is about how books can sooth a soul. Click this link to find The Book Thief at a Library near you! I'm going to request "The Book Thief" from the Suttons Bay Library right now. . . ! Thank you all for the ongoing inspiration. My shero - Antonia (by Willa Cather). Clan of Cave Bear by Jean Auel introduces Ayla, a Cro-Magnon girl living among Neanderthals. While all around her survive by memory and instinct, she LEARNS by reasoning and problem-solving. It is the story of identity, of realizing that she is different, and that it is not only OK, but good, and eventually that the Neanderthal way is not BAD, but different too. Through relationship, she discovers that both instinct and logic, used together, make for a more full life. and still, she comes to know that the future is hers, and not the Neanderthals. Auel's series sometimes seems to give way to surface romance, though, and I stopped reading after the first two books for that reason. But Ayla IS a SHEro for sure! One of the first e books I ever read was "the Thief who Spat in Lucks Good Eye" by Michael McClung. The Shero is a small but smart young woman who uses her mastery of steeling to stop an evil power hungry man from gaining emense power. Fun, quick read. I like the female main character of the most recent book i read, The Marriage Plot, by Jeffery Eugenides, Not maybe a heroine but a strong character nonetheless. What a great challenge Nads! I think your next challenge should be to encourage male readers like me to read more female authors. Any ideas?? Kudos to the Big Sister for creating a wonderful word and challenge! The first s’hero I think I read about is Mary from The Secret Garden by Frances Hodgson Burnett. Through Mary’s loving care & concern, a crippled boy becomes whole and a wounded father finds healing. Truly an amazing s’hero! Little Bee is the s’hero (also the title) of Chris Cleave’s unforgettable adult story of a Nigerian refugee’s tragic life journey. Throughout the very difficult read, little Bee remains true to herself and her cause. I am late to the Challenge! My current favorite Shero is Skeeter from the Help. Wonderful book, wonderful movie! I will let you discover the story for yourself, but Skeeter was brave and shed light on an issue that was unbelievable. Hard to imagine it happened in Nana and Bapa's lifetime!